If you have recently purchased an artwork and need it displayed in your home or office, our T.E.D. technicians are able to consult, design and supply custom made object mounts, supports and plinths. Our installers are skilled and experienced in the installation of two-dimensional works right through to large sculptures and public art projects. If you are looking for additional space to safely and securely store your artworks or have a requirement under FBT legislation, IAS offers museum quality storage facilities in Sydney, Melbourne, Canberra, Brisbane and Perth. We are able to offer climate or non-climate controlled facilities in a shared space or in your own private room. Our storage is available on a flexible time frame, with substantial discounts on offer, for a long term commitment. Our development team will work alongside you to plan in advance for future growth requirements. As your artwork collection evolves it is important to have a safe, secure and dependable system to manage all important aspects of your collection. Our in-house Art Information Management System (AIMS), has been purposely developed with this in mind. Catalogue the unique characteristics for each of your artwork pieces such as the name of the artist, title, dimension accession code, and an image. Each artwork will have its own identification label including a barcode, meaning that at any given time the actual location of every piece your artwork collection, is clearly identified. Having current valuations, enables you to ensure that your asset register and insurance policies are maintained to reflect the current market values. To optimise the enjoyment of each piece of your artwork, whilst delivering a fresh visual effect, we are able to coordinate a scheduled rotation of your collection. To refresh the look of your artwork, we are able to arrange for the reframing of an existing piece of artwork or framing a new acquisition. We enjoy long standing relationships with Australia’s leading art conservation companies and are able to coordinate conservation works to suit your requirements. 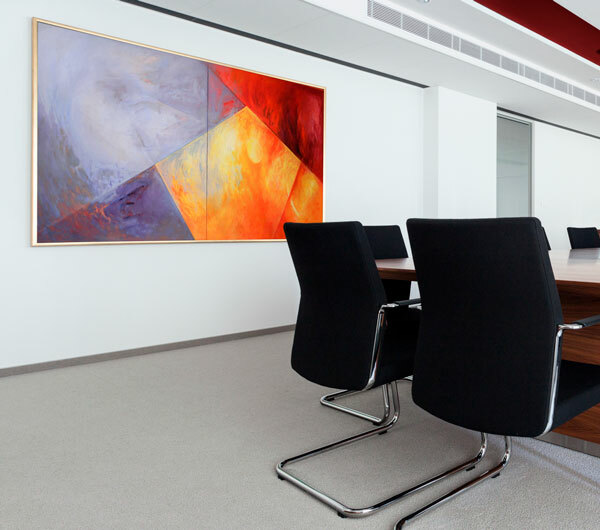 If you require educated advice on developing an artwork collection, appraising an existing collection, a new acquisition or the commissioning of a specific piece, we can connect you with Australia’s leading art consultants.